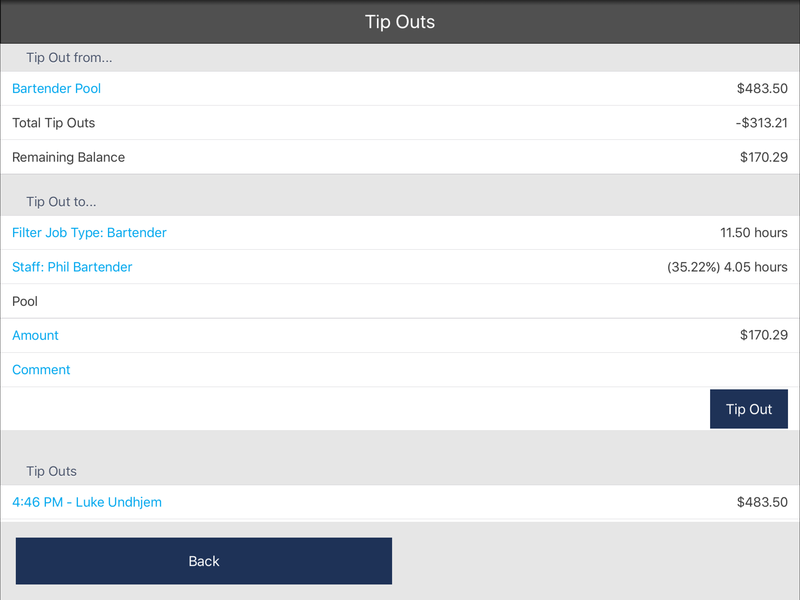 Tip Outs Features Now Available in MB POS version 3.27. The Tip Out feature allows a percentage of a staff member’s net sales, gross sales or tips to be allocated directly to another staff member or to a group pool. You can configure tip out types to be either suggested or automatic. Suggested tip outs will appear on the server checkout with the suggested dollar amount that should be tipped out to each tip out type that has been configured. Automatic tip out types will appear on the server checkout and automatically deduct the total tip out from the total tips that are due to that staff member. Read below for information on how to set up Tip Outs for your restaurant.